Plastic pallets are extremely durable, more often then not, lasting for a hundred trips or more. They resist weathering, rot, chemicals and corrosion too so most acids and toxic chemicals can be cleaned from them easily. Unfortunately, once spoilt, Plastic pallets are not easily repaired. 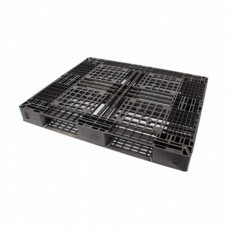 So they are often used by logistics providers who can profit from the durability and stackability of plastic pallets. If you are considering an eco-friendly alternative, look at Compressed Wood Pallet and its long-term benefits.